The premier Michigan criminal defense law firm, LEWIS & DICKSTEIN, P.L.L.C., specializes in DUI Charges in Michigan. Aggressive and experienced, Attorneys Loren Dickstein and Randy Lewis will tirelessly and fearlessly fight for your rights! Attacking the basis for the traffic stop, the arrest or the administration of field sobriety tests can result in the dismissal of OWI charges or give the prosecutor the impetus necessary to agree to a reduction in charges to a reckless driving or maybe even a civil infraction. Many of the officer’s initial impressions of you will be made before he even pulls you over. If you are driving in what he subjectively believes to be an unsafe or suspicious manner, the officer may decide to arrest you or subject you to field sobriety tests before a fair and balanced investigation is conducted. At the very least, the officer’s observations and impressions may be skewed against you based upon his initial gut impression of a situation. A good Michigan OWI attorney can use this bias to show that the officer was predisposed to arrest you. When it can be shown that, objectively speaking, the basis for the stop, arrest or administration of field sobriety testing was not sufficient, the judge may dismiss all charges. This happens more frequently than many would expect. 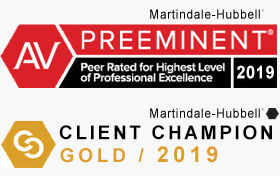 There are many ways a really good, retained lawyer can help you achieve a result that is superior to the one that may result with a less experienced or specialized lawyer. On of major the ways relates to the outcome that may result from challenging the traffic stop or arrest. Imagine this scenario, two lawyers (Lawyer A and Lawyer B) file motions challenging a traffic stop based upon due process and request dismissal or suppression of evidence. The motions and facts in each of the cases are identical. Based upon the facts and law applicable to the scenario, the result of the motion could go either way. In other words, whether a dismissal is appropriate is a very close call. Lawyer A is a very experienced DUI lawyer with a track record for successfully beating drunk driving cases at trial and by motion. Lawyer B is a lawyer that has been practicing for 15 years but is known to mostly plead his clients. Furthermore, Lawyer B also handles immigration and family law cases and is known not to be a specialized expert DWI defense attorney. Multiple things give Lawyer A an advantage in this scenario and thus, his client has the ultimate chance of achieving a more successful result. To start, the prosecutor is far more likely to settle with Lawyer A. Given that the result could go either way, the prosecutor may want to try and salvage some type of result other than a dismissal. Because he believes Lawyer A has a greater chance of achieving a dismissal, he will me more likely to offer some type of extraordinary plea bargain in order to avoid the submission of the motion to the judge for a decision. Lawyer B, who is not known for winning, is not a credible threat and the prosecutor will not be worried about the result going against him at the motion hearing. If the motion does go to hearing, Lawyer A has a greater chance of winning the motion on the merits because he is more likely to be familiar with the nuances of the law, the most effective way to argue the facts and he probably is most familiar with the judge’s propensities. After a hearing, the judge is also more likely to rule in favor of Lawyer A as well. Many cases have facts that when looked at by a judge can be interpreted in many ways. If Lawyer A is known for going to trial and winning, this will be a major incentive for the judge to grant the motion. If the motion is denied, there is a good chance the judge is going to be caught up in a trial (as opposed to relaxing and handling overdue projects) and there is the chance for an acquittal. Judges hate acquittals! In summary, the better the lawyer – the better the chances of a superior outcome in your case. Speeding not does mean you are operating while intoxicated. In many cases, the officer will state that he pulled you over for speeding. This simple fact could be favorable to you. A careful questioning of the officer and prosecutor in your case could demonstrate that it takes more skill and control to drive a car when exceeding the speed limit, than when moving at a slower pace. If the posted speed limit is designed for safe travel by “sober” drivers, then exceeding that speed requires even more care and caution, and is, therefore, a strong indicator that your speed was not affected by your drinking. Furthermore, driving under the speed limit is more indicative of someone operating while intoxicated because it is a sign the driving is consciously trying not to attract law enforcement. Stone sober people speed everyday. Your Michigan DUI lawyer should question the officer and prosecutor in a way that proves that speeding, alone, proves virtually nothing. Other alleged signs of drunk driving can be discredited, as well. If, for example, the officer indicates that you were swerving or “all over the road,” you should once again question why the officer did not immediately arrest you for operating while intoxicated. You should once again criticize the officer’s decision to follow you rather than immediately stop your “erratic” behavior. Was he concerned about the safety of other drivers? Decisions by the officer to allow your driving to continue for a period of time only shows that your driving was not so dangerous that it required your immediate stop and arrest for DUI. If the way you drove at the time of your arrest is safe enough to be observed by the officer for a period of time, it is also safe enough to discredit any wrong assumptions the officer made about how your drinking affected your ability to safely drive. Dealing with drunk driving cases can be seen as tedious due to the amount of time it takes to effectively collect all of the necessary information and evidence required to prepare a solid defense case. If there is evidence favorable to the defense, the prosecutor and police will make it hard to find or worse. Only the most experienced OWI defense attorneys will know how to protect and preserve the evidence favorable to the defendant. From the discovery phase to the trial, each portion is equally important. Is an OWI Dismissal really possible? Complete dismissals of a DUI are not common but they happen more often than many would believe. In order for a case to be completely dismissed there must be some sort of exigent circumstance present. Generally, these circumstances will present themselves in the form of improper police conduct, errors in the investigation by law enforcement officials, or malfunction by technology used to analyze blood or breath. Mixing in outstanding legal representation and an effective presentation of equitable circumstances will increase the chances of a dismissal or extraordinary charge reduction. Another option, which can be an alternative to an outright dismissal, is getting the DUI charge reduced to another type of offense. The most common alternatives to a DUI conviction are reckless driving or careless driving. If the defense attorney can convince the prosecutor that it has insufficient evidence to achieve a DUI conviction, they may try for a guilty plea to a lesser charge. While there are no sure fire ways to avoid DUI convictions, there are certainly factors, which increase the odds of a plea bargain to a reduced charge. The more factors that may be present, the greater chance you have of a pre-trial settlement. 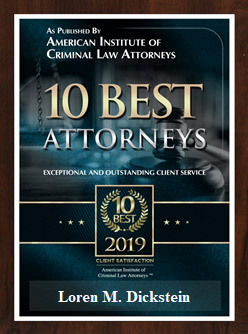 If you would like a free consultation with a criminal lawyer who’s practice is dedicated to the zealous representation of those charged with alcohol and substance abuse related charges, please call LEWIS & DICKSTEIN, P.L.L.C. 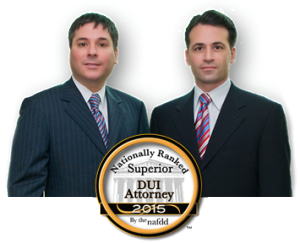 at (248) 263-6800 and get help from an experienced DUI lawyer. We handle DUI / Drunk Driving cases in Oakland County, Wayne County, Washtenaw County, Macomb County and throughout Southeastern Michigan. We will find a way to help you and, most importantly, we are not afraid to win!